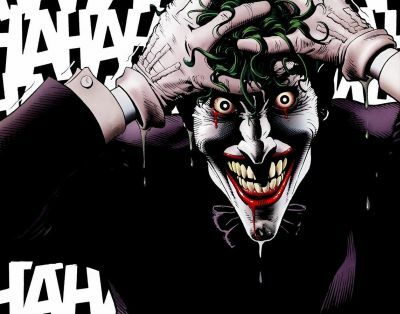 Suicide Squad director David Ayer (Fury, End of Watch) returned to Twitter today and answered a fan, who asked Ayer to describe what Jared Leto’s Joker will be like in one word. “Majestic,” the director said while also posting a new behind-the-scenes photo. You can view both of his posts below. In related news, The Hollywood Reporter talked to Viola Davis (“How to Get Away with Murder”) about taking on the role of Amanda Waller in Suicide Squad. “As a comic book and Wonder Woman fan, I love the whole DC Comics universe,” she said. “I traded comic books as a kid so all of that appeals to me. When you dream about being an actor as a kid, that’s what you dream about. That’s like play acting: being the superhero, getting the gun; it plays into that fantasy. How to Get Away with Murder changed my exposure. I don’t know if it changed the quality of roles as much as it changed the exposure. I mean certainly Amanda Waller is a fabulous character. Leto and Davis star opposite two-time Academy Award nominee Will Smith as Deadshot; Joel Kinnaman as Rick Flagg; Margot Robbie as Harley Quinn; Jai Courtney as Captain Boomerang; and Cara Delevingne as Enchantress. Written and directed by Ayer, Suicide Squad is setting up shop in Toronto, Canada at their Pinewood extension. Following two months of pre-production, the film will shoot from April until September for an August 5, 2016 release.